“Reduce, reuse, and recycle,” is a motto to live by. And now a motto to make art by. The latest reduce-and-reuse project we’re into is Daria Dorosh’s fashion-into-art exhibit—dubbed “Jump-off”—that is available for view at A.I.R. Gallery in Brooklyn until the end of the month. Secretary dresses, opera gloves, flannel jackets, and T-shirts come together in Dorosh’s art as she attempts to map the intersection of art, fashion, and technology. A Fashion Institute of Technology professor for nearly 40 years, Dorosh recently relocated to London to participate in a Ph.D. program. Based on her thesis, “Patterning: the Informatics of Art and Fashion,” her exhibition explores two sets of underlying patterns—the grid and the loop, as well as abstraction and representation—that are common to fashion, fine art, and digital culture. Dorosh explores the underlying patterns common to fashion, fine art, and digital culture. Dorosh is interested in closed-loop cycles and likes the deconstruction stage more than reconstruction. So, if you live in New York City, head over to A.I.R. Gallery on February 17, because Dorosh is holding a deconstruction workshop as part of her exhibit. She’ll teach you her deconstruction trickery, as well as how to remake old garments with fresh new details. "Reduce, reuse, and recycle," is a motto to live by. And now a motto to make art by. 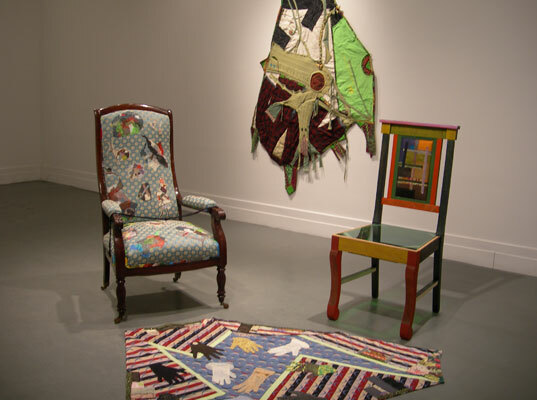 The latest reduce-and-reuse project we're into is Daria Dorosh's fashion-into-art exhibit�dubbed "Jump-off"�that is available for view at A.I.R. Gallery in Brooklyn until the end of the month. Secretary dresses, opera gloves, flannel jackets, and T-shirts come together in Dorosh's art as she attempts to map the intersection of art, fashion, and technology. 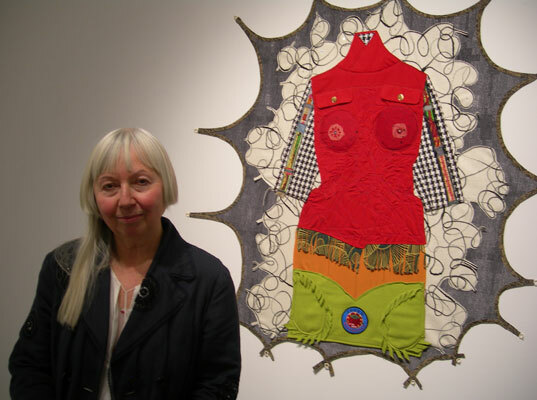 Dorosh wrote her Ph.D. thesis on "Patterning in Art and Fashion"